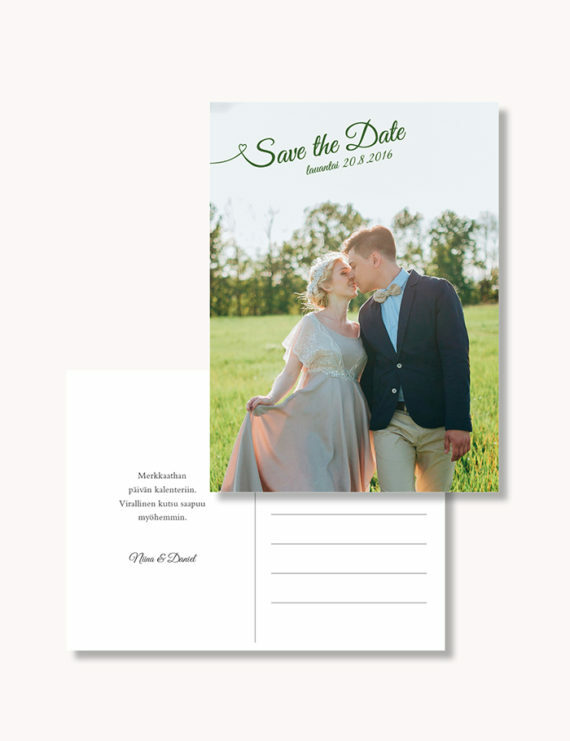 Order personalized Save the Date card with your own text! Approximate price for 50 pcs of double-sided Save the Date cards is 235€. The price includes design, sample and printing on high quality paper. Envelopes go separately, 0,60 € / pc. Contact us via email for getting more information about your order!